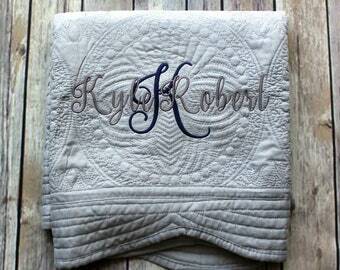 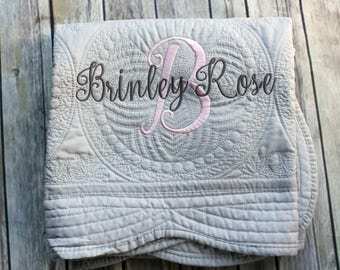 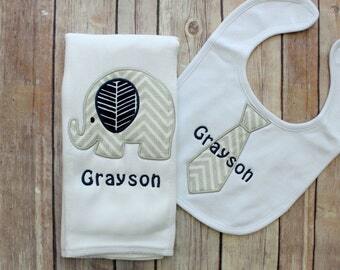 Please leave the name you'd like monogrammed. 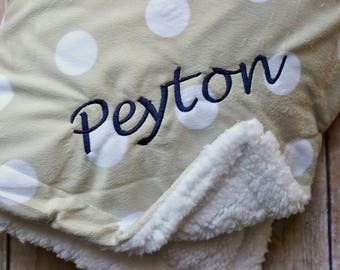 This ADORABLE monogrammed bunny is the perfect gift for a new baby or milestone picture prop (take a picture next to the bunny as the baby grows to see the difference in size!) 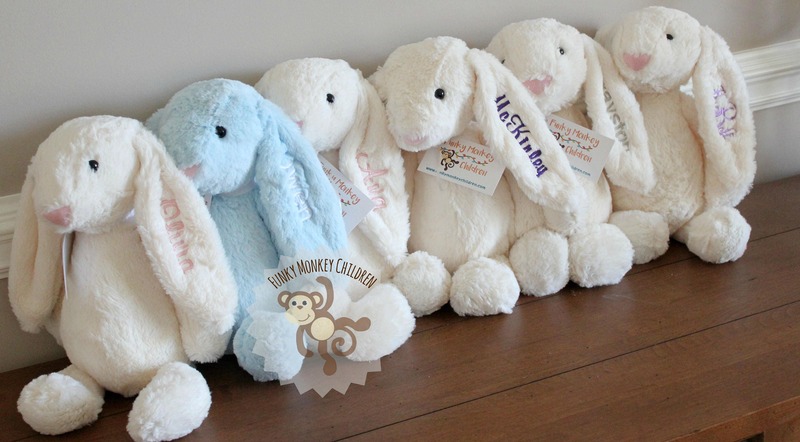 These bunnies are incredibly soft and plush - amazing to snuggle up and love on! 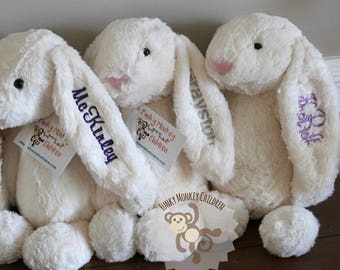 Bunnies are 16 inches tall, and come in cream, pink, and blue and are soft, thick, plush material.